Microsoft’s device partners outdoor modern and lasting Windows 10 PCs at this years Consumer Electronics Show event. 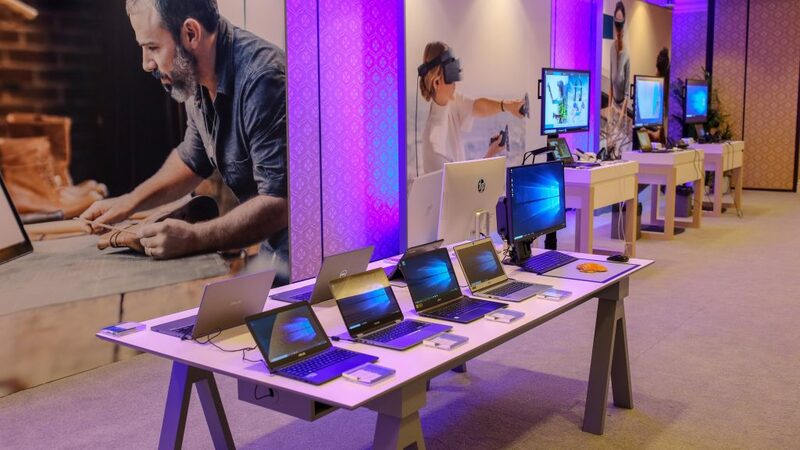 This year’s event introduces a new breed of devices as Microsoft shifts to a new work culture. A culture of Always On and Always Connected devices that hopefully will encourage creativity and innovation. The guys over at Neowin go hands on with a couple of the devices at the Microsoft Partner showcase at CES 2018. Below are a few of the announced Windows 10 PCs. It comes at 8.98 mm thin, powered by a 7th Gen Intel® Core™ i7 processor, promising 10 hours to all-day battery life. It has a built-in Intel XMM 4G LTE connectivity, trusted 4G LTE connection and features the new eSIM technology. 256 GB of PCIe SSD storage, 8 GB LPDDR3 and fingerprint reader. A 14″ HD IPS5 display, Corning® Gorilla® Glass NBT™ touchscreen and touchpad with backlit keyboard. Acer says the Swift 7 will be available in North America in March and April for EMEA market. Pricing starts at US$1,699 for north America and at €1,699 for EMEA regions. Thinner, lighter and more powerful mobile device. Rocking design and performance. It comes with the 8th Gen Intel® Core™ processor with AMD Radeon™ RX Vega M graphics with a stunning InfinityEdge 4K Ultra HD display. 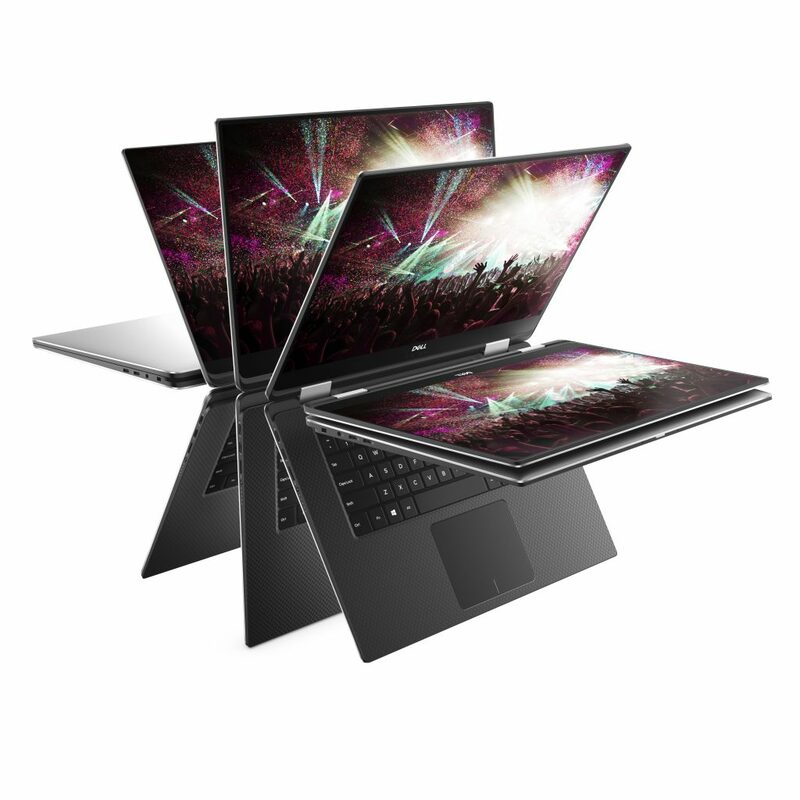 The Dell XPS 15 2-in-1 will be available in April starting at $1,299.99 Check out more images here. A Flexible PC for Everyday Users. Comes powered by an 8th Gen. Intel i5 processor, 8GB and 256GB SSD storage. It has a 360 degree touchscreen for added convenience, an Active Pen support with secure Finger print login. Starts selling in select countries in the first quarter of 2018. Impossibly thin, incredibly durable and world’s longest battery life in a Windows detachable. Runs on a Qualcomm® Snapdragon™ 835 Mobile PC platform, 8 GB LPDDR4X PoP memory and 256 GB of storage. Very thin at 6.9 mm, weighs 1.54 lbs, 12.3″ diagonal touch WUXGA+ display with Corning® Gorilla® Glass 4. It promises ultra speeds with the Qualcomm® Snapdragon™ X16 LTE modem supports 4G LTE and about 20 hours of battery life. Visit the Microsoft CES 2018 partner news page for more on device announcements. What do you think about the new devices? Share your thoughts with us.